 I discovered this store on Tuesday 16 May 2017. 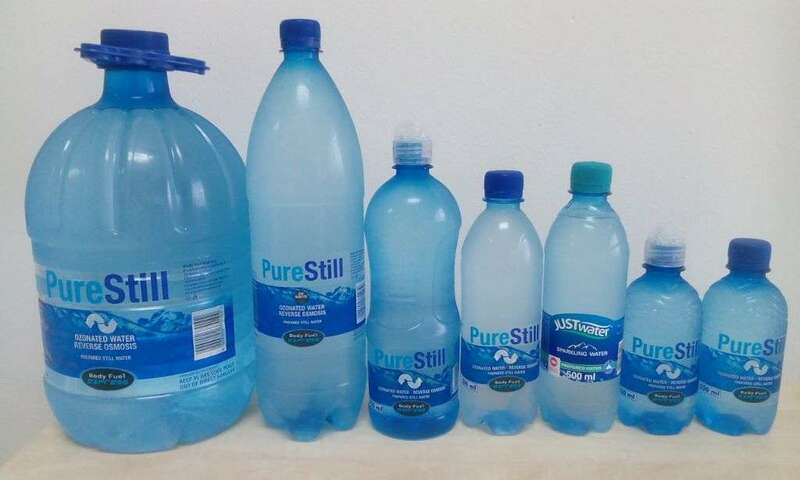 From Tuesday up to Thursday I have been there 6 times to refill my water bottles because the pricing is so cheap and service is really quick. Oh yes, they offer more than what I just wrote here. Of all the places to buy supplements and get the correct diet information to transform your body, this is the place to visit. BODY FUEL EXPRESS! I discovered this store a few weeks ago. I now go there for my weekly water refill because the pricing is better and service is fast. Nice store with lots to offer besides water. 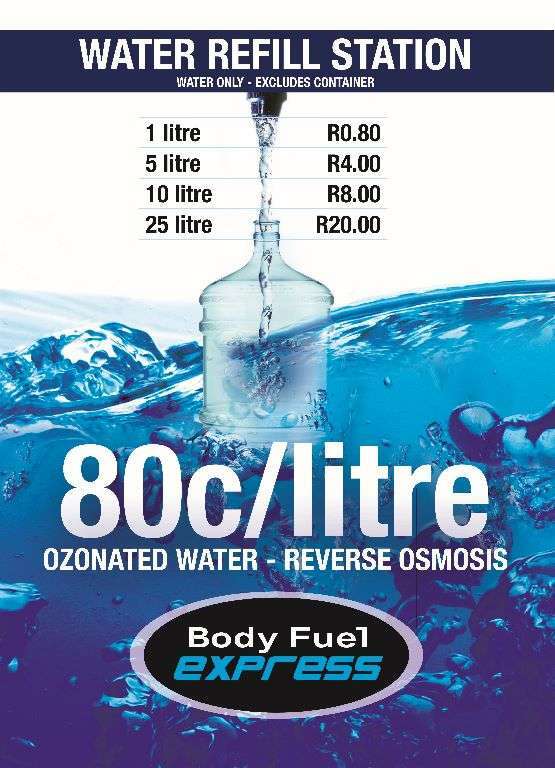 Body Fuel Express capitalises on the increasing demand for a safe,healthy and affordable source of drinking water and supporting products. 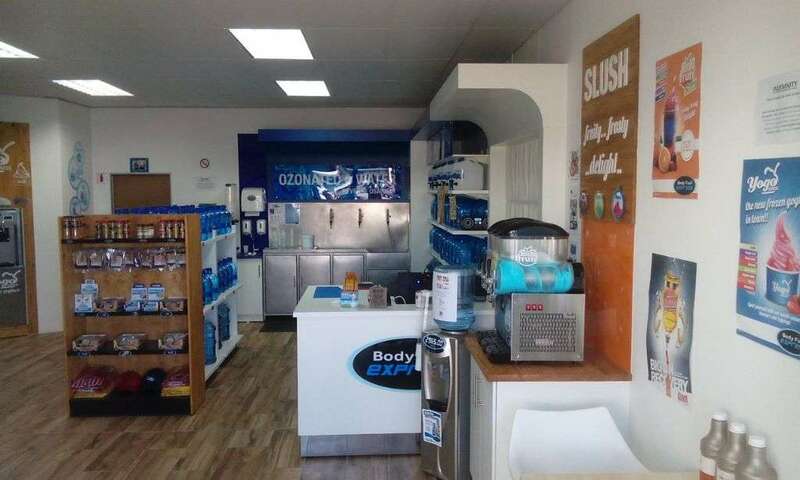 Body Fuel Express is at the Forefront of the water purifying industry boasting Reverse Osmosis ozone and UV treated water purification processes and technology. 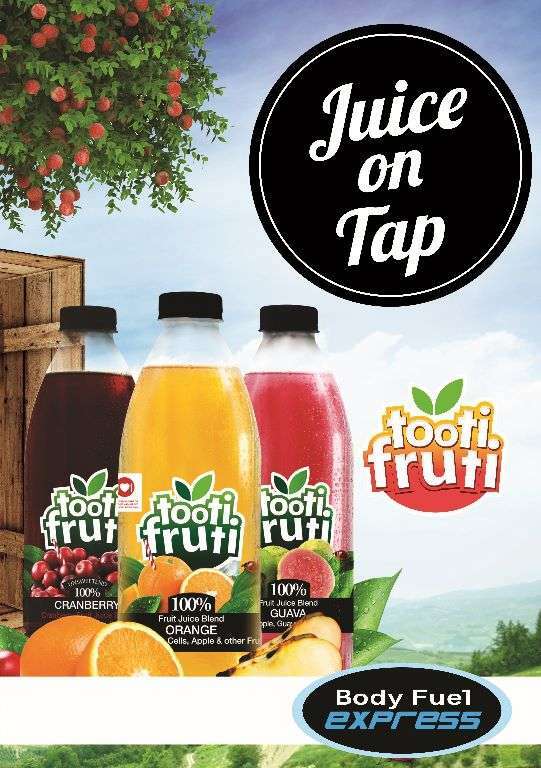 This process does not only guarantee the quality and purity of water products to bacteria sensitive consumers but also addresses our modern lifestyles' demands and shortcomings for products containing essential nutrients, less kJ and no aspartame - all wrapped perfectly in a great tasting product ready to drink. 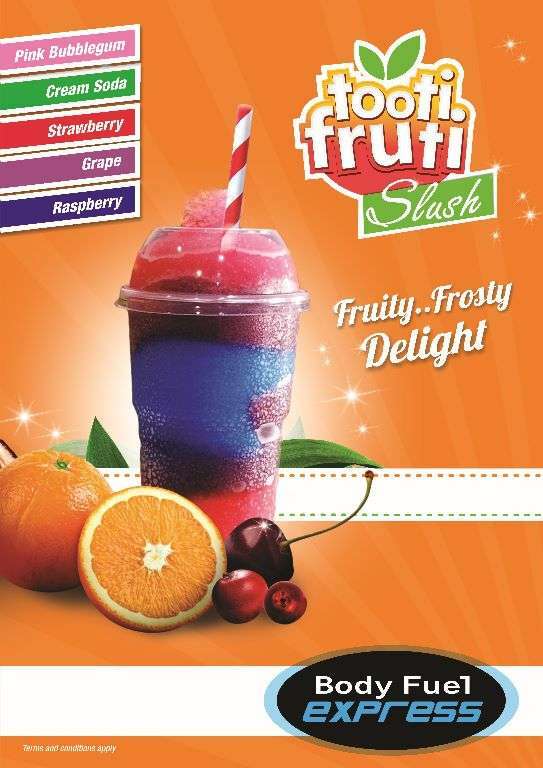 We are one of the many franchises which have made their mark in this very competitive industry. 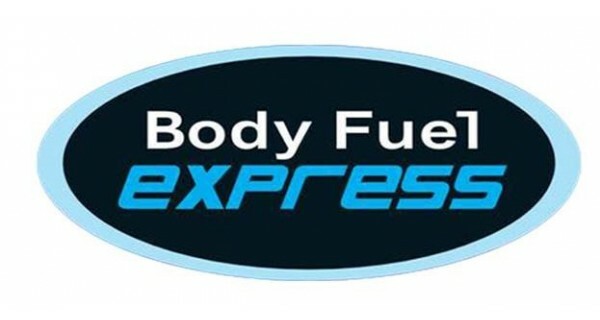 We at Body Fuel Express Metlife Mall strive to deliver an experience second to none and with our diverse product range and excellent customer service we believe we can only grow from strength to strength. We deliver service of a superior quality as we constantly attempt to improve on our service delivery methods. Private labelling on bottles for all occasions - weddings-businesses - parties - team building events. 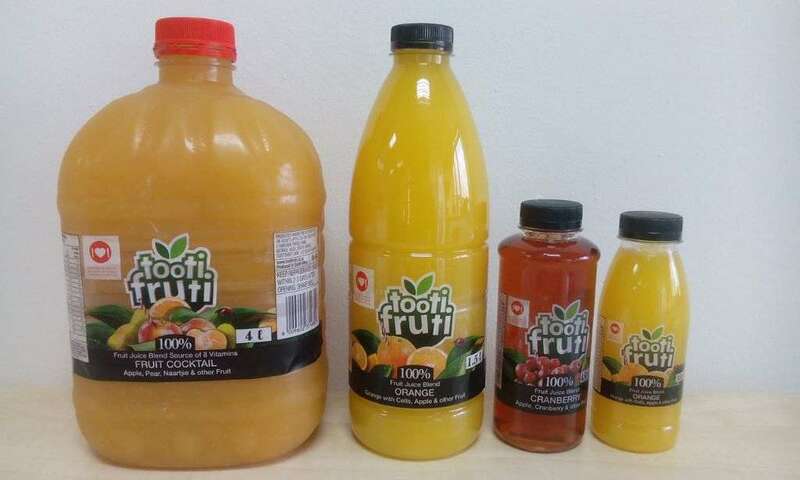 Juice in various bottles - ready for sports events - tuck shops parties etc. 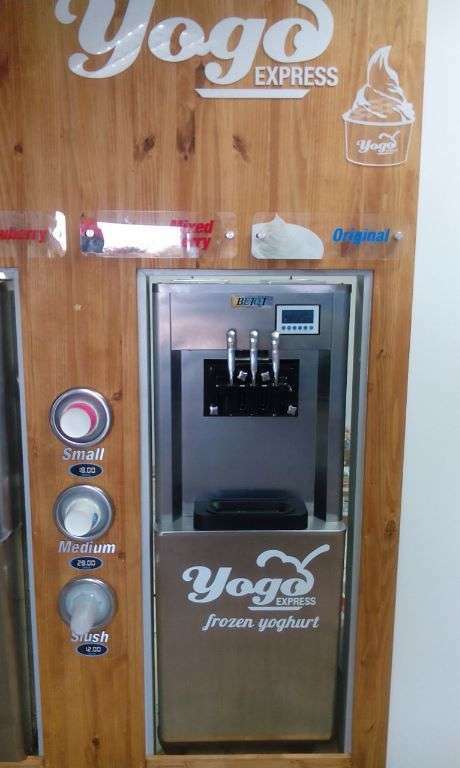 Frozen yogurt - In store in social area or take away.